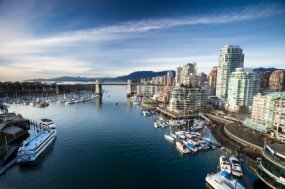 Have you thought of working for a local cruise company like Pride of Vancouver Charters? The company offers dinner cruises and yacht charters for weddings, special events, and corporate functions - and they hire throughout the year. Our interviewee is in charge of selecting and hiring the staff! Become a CruiseJobFinder Member to access the entire interview. We have 2 vessels, namely the Pride of Vancouver and most recently, we have added the Star of Vancouver. Our cruises are mainly 4 hour long dinner cruises or 3 hour salmon buffet cruises, but we also have special cruises for Christmas and New Year. Our employees are expected to help clean and prepare the ship as well as get the menu ready for the cruise, meet and greet the passengers, entertain guests and offer excellent service all evening, and finally bid the passengers farewell at the end of the cruise. Afterwards, the staff are expected to help clean and clear the ship ready for the next day. As we mainly offer dinner cruises, we require excellent galley staff, including chefs and cooks, but also servers, runners, and other wait staff. We also require marine crew to handle the operation of the ships. We do not really have a big season, as we operate throughout the year, but summer dinner cruises, and the holiday cruises over Christmas and New Year are usually the busiest. Yes. I think the flexible working schedule is ideal for them and the fact that our cruises are at night, giving them time to study and attend class in the day. Another aspect could be that they want to get into the customer service or hospitality industry and working for a small company like this is a great place to start. What advice can you offer about CVs? Your CV should be concise and easy to read. It should contain all the most important information about where you have worked in the past and your level of experience. The industry is all about customer service, so being a people person with a great personality is the most important thing you need to succeed. Come well dressed and ready to answer questions about the position you are interviewing for. We might send applicants on one of our cruises so that they can see what it is like being on board and to see what is expected of employees. There are quite a few misperceptions. Firstly, many people assume that working on a cruise ship is all about fun and that it is not as hard as working in a restaurant or hotel. They think cruise ship dinners are laid back, so the work must be too. This is the opposite. The crew and staff work energetically, under stressful circumstances to make sure that the guests are relaxed and comfortable. It is a fast-paced, highly charged environment, but our employees love it!